Fairview Mortgage, Michael Cincotta, Owner – I have worked with Michael and Hallmark Abstract Service on many occasions and each time, it has been a great experience! Mike and his team work diligently to clear title issues and protect our mutual client while understanding the sensitive timing concerning the real estate transaction. I would highly recommend Michael and Hallmark Abstract Service to anyone in the mortgage industry who is looking for a trusted title source! Mortgage Wealth Advisors, Inc., Warren Goldberg, President – When it comes to business, I expect my vendors to work to the same high standards I keep for my own company. I’ve worked with many abstract companies over the years, and Hallmark Abstract Service is the ONLY one that has consistently EXCEEDED my expectations. Satterlee Stephens LLP, Sally Semonite, Attorney – I am always appreciative of the relevant and current articles that Hallmark sends out; it’s just another indication of how much they stay on top of things. Thank you Michael for being one of the abstract companies I can trust, always. I highly recommend you and your staff for quick, expert answers and advice when needed, and always so pleasant to work with! Foley Griffin, LLP, Thomas Foley, Partner – I have been an attorney practicing for over 20 years. During my time, I have not encountered a better, or more professional title company than Hallmark Abstract. There has never been a title issue at a closing I have attended with Hallmark. I wholeheartedly endorse this company. Ruskin Moscou Faltischek (RMFPC), Eric Rubenstein, Partner and Real Estate Department Co-Chair – Having had the opportunity to work with Hallmark Abstract Service on the property purchase transaction for one of my clients, I found the firm to be extremely professional, detail oriented and centered on the needs of both my client and myself. I would highly recommend Hallmark Abstract for anyone who is in need of title insurance or title related services. Law Office Of Michael Block, Michael Block, Partner – I refer all of my clients to Hallmark Abstract Services for their real estate closings. I am always thanked for making the connection. Michael Haltman and his team are all very professional, efficient and diligent. I highly recommend them. Law Firm of Steven S. Siegel – I have known the principals of Hallmark Abstract since 2008 and they are in every respect honorable, ernest, and extraordinarily professional. My recommendation is without hesitation. 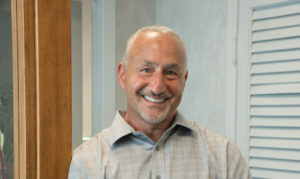 Steven S. Siegel, Esq. Personal service is what I want in an abstract company, and that is what Hallmark provides. From placing an order for title insurance or search work through closing, Hallmark’s staff is on the spot with the information and service I expect. Turn-around times are expeditious, and closings go without a hitch as any title exceptions are reviewed and resolved well in advance of closing. Hallmark accommodates my needs for title insurance and search work,and I encourage you to give them a chance to service your needs as well. Eric R. Landau, Esq.